Holy Guacamole - I cannot believe it's really May 1st! I'm not really sure where April went but apparently it's gone. 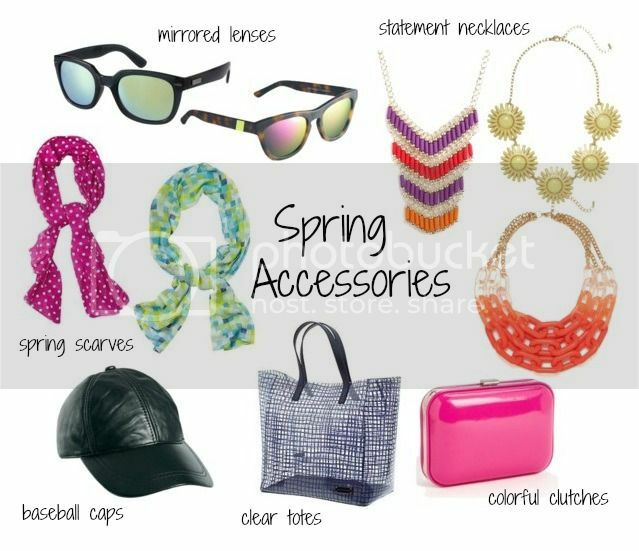 Today I wanted to share some of my favorite Spring accessories with you! The thing I love about accessories is how easily the can change up an outfit. And most of these are budget-friendly so you can easily update your wardrobe for Spring with one or two of them. Come back Friday to see which trend I decide to style in the #northvsouthstyle post of the week! Which is your favorite trend?